Five Earthquakes in Four Days: Is Spate of Texas Earthquakes Connected to Nearby Fracking Operations? 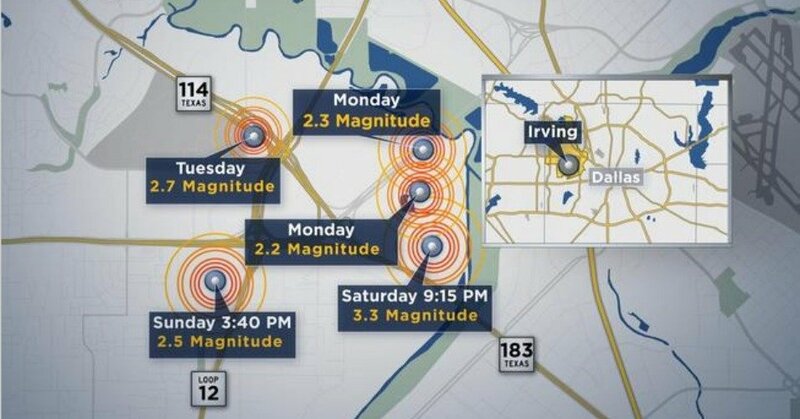 The city of Irving, Texas has experienced five earthquakes in four days, leading some critics to blame increased seismic activity on nearby fracking operations. The first earthquake, Saturday night, was a magnitude 3.3 quake that was felt by hundreds of North Texans. A 2.5-magnitude quake hit on Sunday, followed by two more on Monday, magnitudes 2.2 and 2.3. And a fifth 2.7-magnitude earthquake was reported Tuesday evening just east of the University of Dallas campus. Residents and city leaders point to area oil and gas disposal wells, where fracking wastewater is injected deep underground, as likely culprits. There is a wastewater disposal well near the epicenter of Saturday’s quake. A study published last month backs up such claims. Looking at data from National Science Foundation seismographs located near fracking sites, scientists in Ohio were able to make direct connections between at least 400 small “micro-earthquakes” and nearby fracking operations in that state. “The oil and natural gas industry agrees that recent seismic activity warrants robust investigation to determine the precise location, impact, and cause or causes of seismic events,” Todd Staples, president of the Texas Oil and Gas Association, told the station. Irving is located just 35 miles from Denton, Texas, where residents recently voted to ban fracking within city limits. 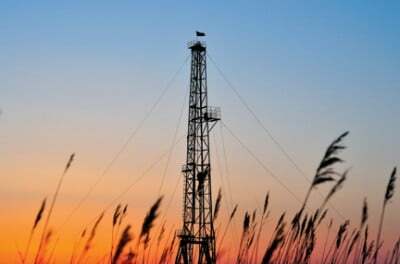 In the days after the vote, the Texas Oil and Gas Association filed an injunction to prevent the ban from being instated; the Texas General Land Office filed a separate lawsuit to block the new rule; and a local regulator said she would not enforce the ban.